Crowell & Moring's Litigation Forecast 2017. Chahira Solh is a partner and serves as the head of Crowell & Moring's Orange County office, and is a member of the firm's Antitrust Group. She is a complex litigator, focusing on antitrust and unfair competition law, and regularly counsels clients on all aspects of antitrust law. Chahira's practice includes defending clients in civil antitrust litigation as well as representing many Fortune 500 companies as plaintiffs in antitrust recovery actions. She provides counseling on mergers, acquisitions, joint ventures, trade association law, cartel enforcement, the Robinson-Patman Act, and distribution and vertical issues, including pricing policies. Chahira earned her J.D. from Northwestern University School of Law, where she served as managing editor of the Journal of International Human Rights. While in law school, Chahira was selected to perform several internships at the Office of the Illinois Attorney General, Antitrust Bureau, the U.S. Department of Justice, Antitrust Division in Washington, D.C., and at the Federal Trade Commission, Consumer Protection Division in Chicago, Illinois. She received B.A. 's in both economics and history from the University of California, Los Angeles. Chahira is admitted to practice law in the state of California and is active in many professional organizations. 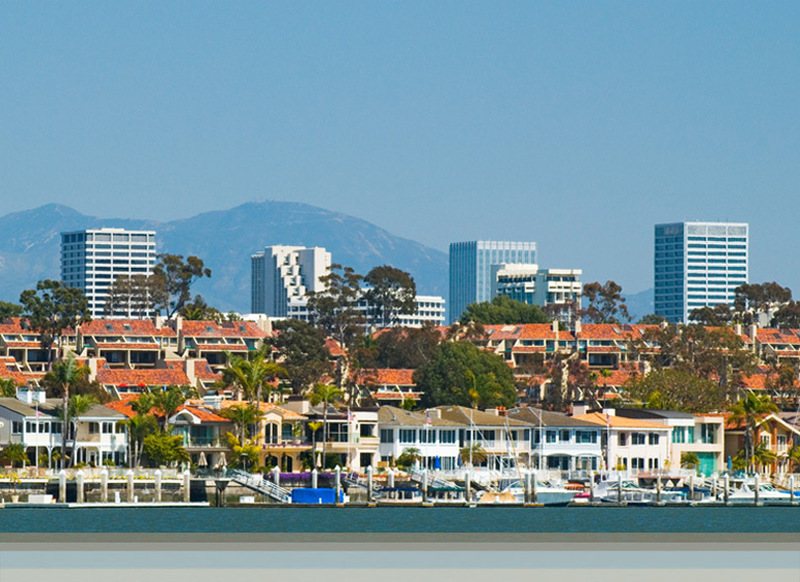 She has been recognized as a "Southern California Super Lawyer - Rising Star" in Antitrust Litigation since 2009. She is co-chair of the Young Lawyers Division - Antitrust Law Committee of the Antitrust Section of the American Bar Association. She is also active in the California Minority Counsel Program and Orange County United Way. Chahira was selected for the 2016 Fellows Program of the Leadership Council on Legal Diversity (LCLD), a national organization comprised of the legal profession's top general counsels and managing partners. Representing a major U.S. automobile manufacturer as a plaintiff in the In re Vehicle Carrier Services Antitrust Litigation. Won dismissal of federal antitrust claims on behalf of an international musical instrument manufacturer in a Multi-District class action involving minimum advertised price policies; affirmed by the Ninth Circuit. Won dismissal of antitrust claims on behalf of a global telecommunications technology company in a case alleging subversion of a standard-setting process. Successfully represented a major U.S. automobile manufacturer in litigation to recover overcharges for its purchases of polyurethane foam in the In re Polyurethane Foam Antitrust Litigation. Defended a global chemical producer in a price-fixing case. Prevailed at arbitration and obtained a judgment on behalf of a client group that purchased rubber chemicals in a price-fixing litigation to recover overcharges caused by an international price-fixing cartel. Represented a client group that purchased electrical carbon products (including carbon brushes and carbon current collectors), in price-fixing litigation to recover overcharges caused by an international price-fixing cartel. Defended AT&T in its acquisition of T-Mobile USA. Defended Yamaha Corporation of America in the Federal Trade Commission's investigation into minimum advertised pricing for musical instruments. Represented a chemical manufacturer in the Federal Trade Commission's investigation into standard setting policies and patent issues. "Affirmative Recovery Litigation: Bringing Value to Your Company," ACC-SFBA Litigation Committee Meeting, San Francisco, CA (June 13, 2018). Presenters: Beatrice B. Nguyen and Chahira Solh. "Mergers/Acquisitions and Antitrust Considerations," Federal Bar Association's 2016 Fashion Law Conference, New York, NY (February 12, 2016). Presenter: Chahira Solh. "Helping Sales and Marketing Avoid an Anti-defamation, Infringement or Unfair Competition Claims from Competitors," ACC - In-House Counsel Conference, Anaheim, CA (January 27, 2016). Presenters: David Ervin, Steven D. Allison and Chahira Solh. "Antitrust Update," ABA Antitrust Section Teleconference, sponsored by the Corporate Counseling Committee (May 2015). Presenters: Shawn R. Johnson, Chahira Solh, Mary Anne Mason, Sean-Paul Brankin, and Olivier Antoine. "Report on the Autonomous Vehicle Safety Regulation World Congress 2017," Crowell & Moring's Retail & Consumer Products Law Observer and Crowell & Moring's Data Law Insights (October 26, 2017). Authors: Cheryl A. Falvey and Chahira Solh. "Antitrust – The Return of "Trial By Formula"?" Crowell & Moring's Litigation Forecast 2017 (January 2017). Contributor: Chahira Solh. "Join C&M and other legal experts for the FBA's Fashion Law Conference," Crowell & Moring's Retail & Consumer Products Law Observer (February 1, 2016). Authors: Cheryl A. Falvey, Chahira Solh, and Frances Hadfield. "Pharmaceutical Litigation Update: Changing Landscape," The Antitrust Counselor, ABA Section of Antitrust Law's Corporate Counseling Committee, Vol. 10.1 (September 2015). Authors: Chahira Solh and Astor Heaven. "Pricing Fundamentals Series," The American Bar Association Antitrust Section Pricing Conduct Committee's Newsletter, "Price Point" (Winter 2011). Co-Authors: Chahira Solh and Christie Stahlke. "California Supreme Court Rules that Pass-On Defense Is Not Available in Price-Fixing Cases under California's Cartwright Act," The Antitrust Counselor, ABA Section of Antitrust Law's Corporate Counseling Committee (September 2010). Co-Authors: Beatrice B. Nguyen and Chahira Solh. "Indirect Purchaser Actions," California Antitrust & Unfair Competition Law (Fourth), The Antitrust and Unfair Competition Law Section of the State Bar of California (2010). Co-Authors of Chapter 22: Daniel A. Sasse and Chahira Solh. "Practical Advice Today: Has Resale Price Maintenance Counseling Changed Post-Leegin?" The Price Point, newsletter of the ABA Section of Antitrust Law Pricing Conduct Committee, Vol. 9, Issue 1 (Winter 2010). Co-Authors: Daniel A. Sasse and Chahira Solh. Jan.27.2010 Crowell & Moring Featured In Daily Journal's List Of 2009 "Top Plaintiff Verdicts"